While on my trip to Japan I made a lot of bitter gourds as these are easily available and is a good side dish. You must be wondering where did Japan come while my theme is North Indian Side dishes. This recipe is actually from our neighbors in Delhi, but since I made these in Japan, the automatic connection. The gourds in Japan aren't as bitter as they are here , also they are quite large. I did not peel them and prepared them like I normally do. 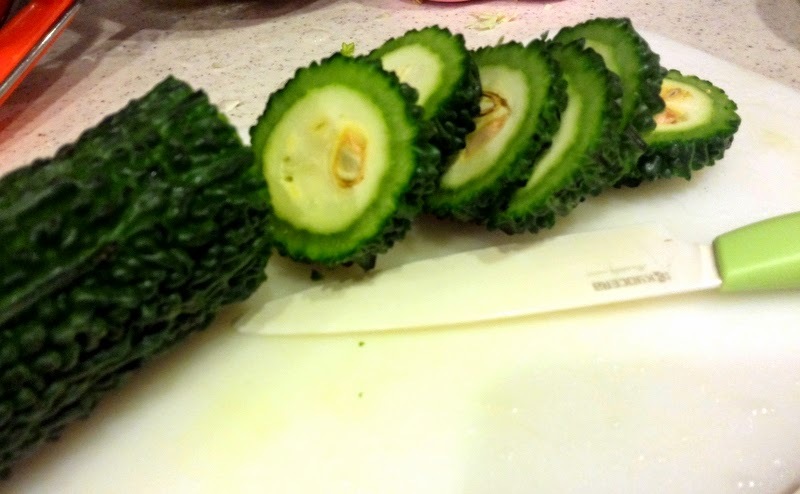 If you wish to peel them, go ahead the basic taste of the dish will not change. Wash and cut the gourds into roundels. 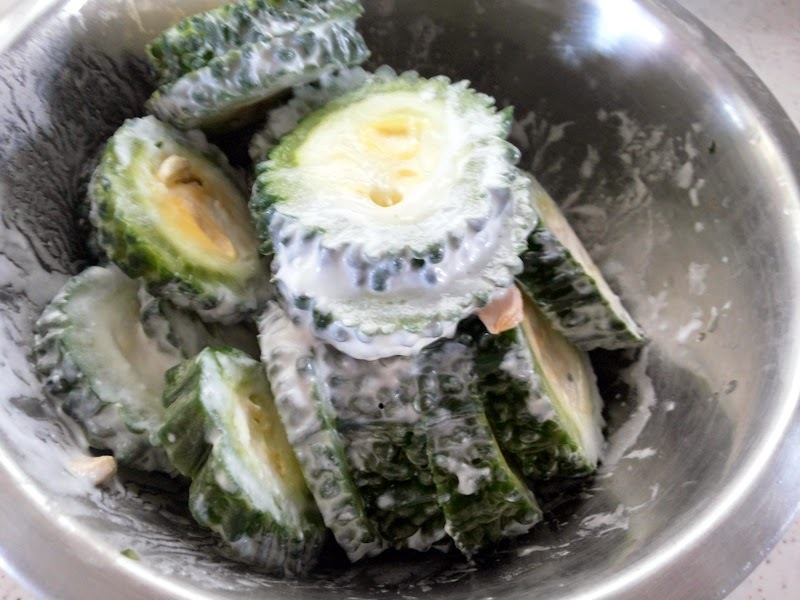 Marinate with salt, curd and flour for about 30 minutes. Wash and squeeze out the water. Now these are ready to be made into the desired dish. Add the paanch poran and hing. Add the gourds and sauté till the moisture is absorbed from these. Sprinkle all spices and the wheat flour , mixing everything very well. Once the spice are mixed, add 1/2 cup water and let the gourds cook till tender. 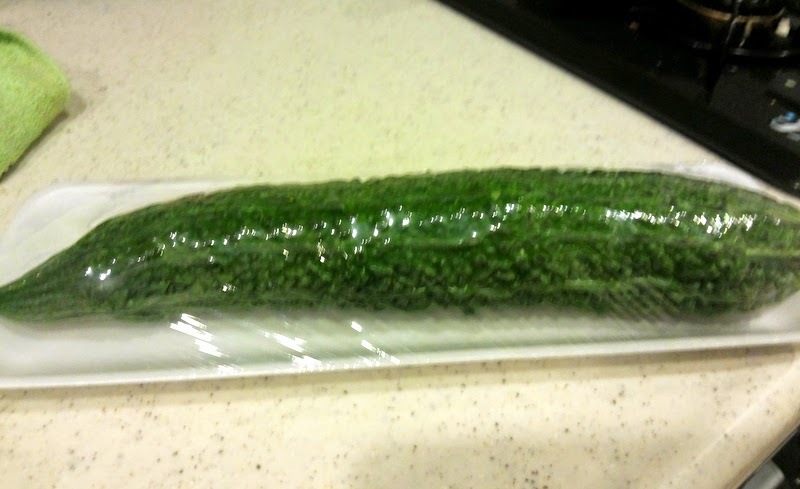 You might need more or less water depending on how thick the gourd slice is, also depending on the quality of the gourd. 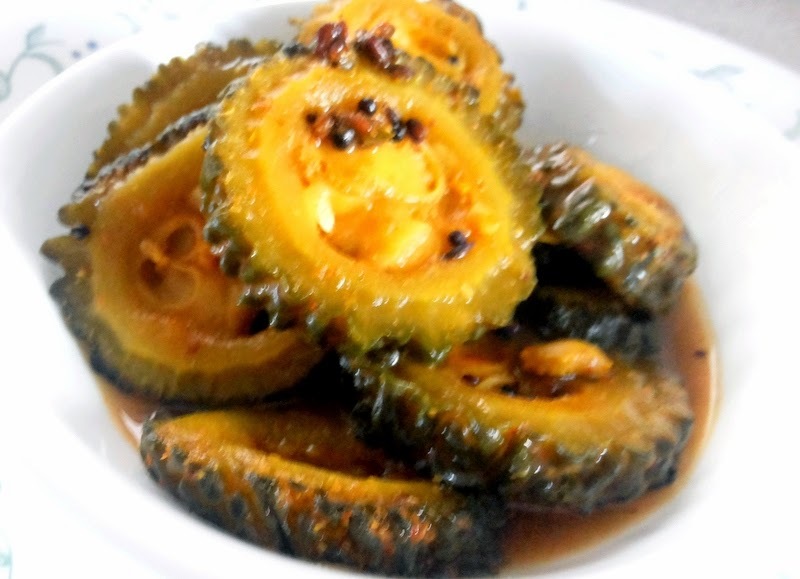 The Japanese gourds are very tender and cook fast, but may be in India I would need to add more water and cook longer. 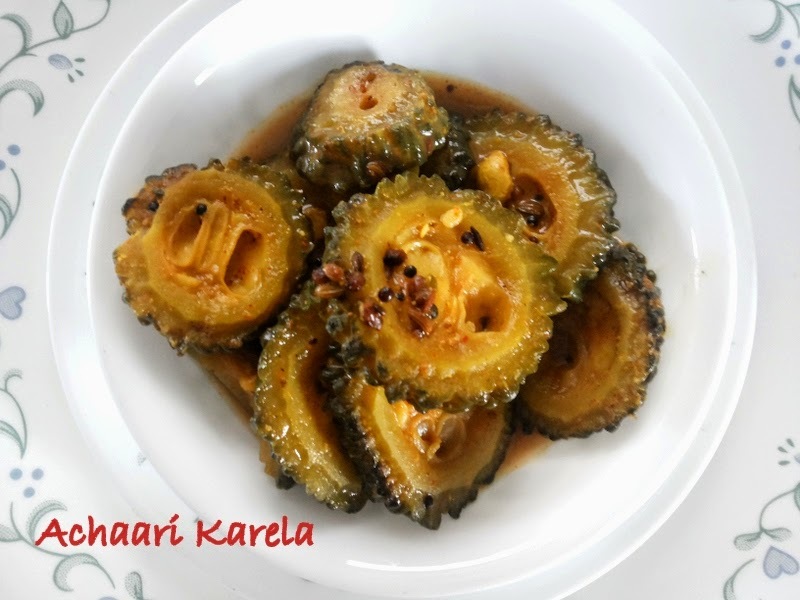 This dish has paanch poran which is a spice that is used in Bengali cuisine, but let me tell you that this is also called the achaar ka masala in Delhi and is used in lot of North Indian Dishes, I have yet another Achaari Gourd recipe but let me save it for some other time.